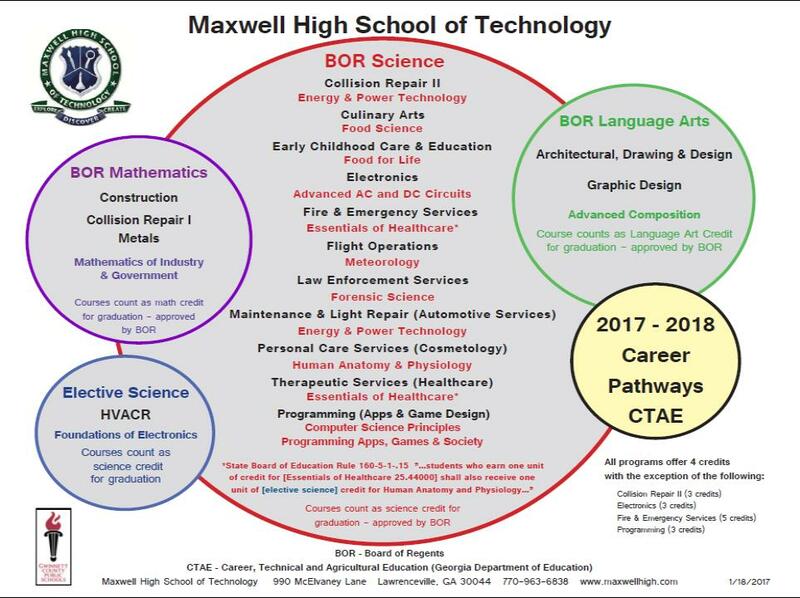 Apply for Classes at Maxwell! Read the information on this website before you apply! Please Note: You must be logged into a ​GCPS computer! For detailed program information click here. To view academic course inclusions click here. A lottery drawing will be held only for programs with limited seats. Select your top two program choices. Make sure the embedded credits in the programs you choose are in line with your graduation plans. If you are unsure of your academic needs, check with your high school counselor. Feel free to include comments or questions in the comments section of the application. confirm that the embedded academic credit in your program(s) of choice is in line with your plans for graduation from high school. If you are unsure, check with your high school counselor. The lottery drawing will take place at Maxwell High School of Technology at 9:00 AM on Wednesday, February 15, 2017. Students should receive email notification of their application status via email (provided on the application) by Monday, February 20, 2017. The online registration website will re-open after the lottery is completed on February 15, 2017. Registration will continue for available programs until school starts in the fall. Make sure that the embedded academic credit in your program(s) of choice is in line with your high school graduation plans. If you are unsure, check with your high school counselor. Click play below to see why Mr. Kachmar, our welding instructor, thinks you should come to Maxwell. If you are new to Gwinnett County Public Schools, please contact one of our counselors for information about enrollment. To apply for Maxwell's 2017-2018 school year, click the button below. By doing so, you acknowledge that you have read the information on this webpage. Please note: You must be logged into a GCPS computer to apply. You will not be able to access this application from home.